Dermabrasion is a technique used for homogeneously regenerates the superficial layers of the skin by mechanical exfoliation (sanding). 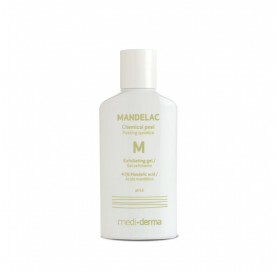 The treatment softens skin irregularities, giving a smoother appearance. 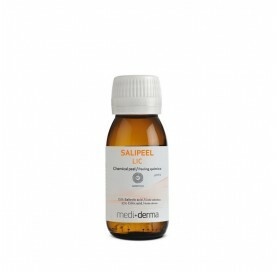 Provides similar results to chemical peels. Dermabrasion is the most often used method to improve the appearance of aged skin ( reducing wrinkles ), scars, stretch marks, acne scars and in general, any process that has altered the uniformity of the skin. The results are immediate, improving texture, smoothness and brightness of the skin. Stimulates the renewal of epidermal cells, reducing scars and stretch marks, the depth and size of wrinkles, pore size and decreasing hyperpigmentation caused by photoaging. Simple and rapid procedure. It can be done in small areas or in the entire face. It may be used alone or in combination with other cosmetic procedures such as chemical peels, resulting in a perfect combination. Does not require previous preparation of the skin, except to ensure that the skin is not irritated (not recently exposed to sun or UV rays). Depending on the depth of treatment, indications would be from an immediate simple treatment to a deeper one: prevention and treatment of photoaging, fine lines, enlarged pores, hyperkeratosis, abnormal pigmentation (melasma, lentigines, and dyschromias), tattoos, stretch marks and scars. Immediately after the procedure, you may have redness, purpura and mild to moderate edema in the area. Crusts might also appear. The most common risk are pigmntation changes either hyperpigmentation, usually caused by sun exposure in the days or months following the procedure, or hypopigmentation. Although infection and abnormal scarring are rare in these skin treatments are possible. Some individuals develop excessive scar tissue (keloids or hypertrophic scars). If you have freckles, they may diminish in the treated area. It is not convenient to treat the skins undergoing radiotherapy or burned skins. Dermabrasion involves the progressive removal of the superficial layers of the skin by applying either manually or by a motor or surgical turbine, an abrasive instrument. Typically is used a diamond bur rotating at high speed or it is applied microcrystals with pressure (aluminum oxide,). Depending on the depth, the procedure will be performed under local anesthesia combined with sedation, which will keep the patient awake but relaxed, and its discomfort will be minimal. Usually lasts between an hour and hour and a half, depending on the treated area. Often the procedure is performed in several sessions, especially if the scars are deep. Caution when applying on eyelids (to prevent bruising and purpura). It will be given instructions for skin care after procedure. During post - procedure it will be recommended a sunscreen to protect your skin from ultraviolet radiation (Repaskin 50 cream, Screenses 50 tinted cream), but it is also recommended to limit sun exposure. Immediately after dermabrasion, may experience a burning sensation. However, the inconvenience disappears quickly, except for a local feeling of tightness. It is important to maintain good skin hydration during the first week post- treatment using creams based on hyaluronic acid (Hidraderm Hyal cream), vitamin C (C-vit cream or serum , aloe Vera (Hidraloe cream), rosehip oil (rose oil mask, ampoules) ... and continue treatment with retinols(Retises 0.25% nano gel) that stimulate the repair and regeneration of skin. Depends on the pathology to be treated. Generally10 to 15 sessions are required, at intervals of 15-20 days. We recommend maintenance sessions (1 session every 2-3 months).